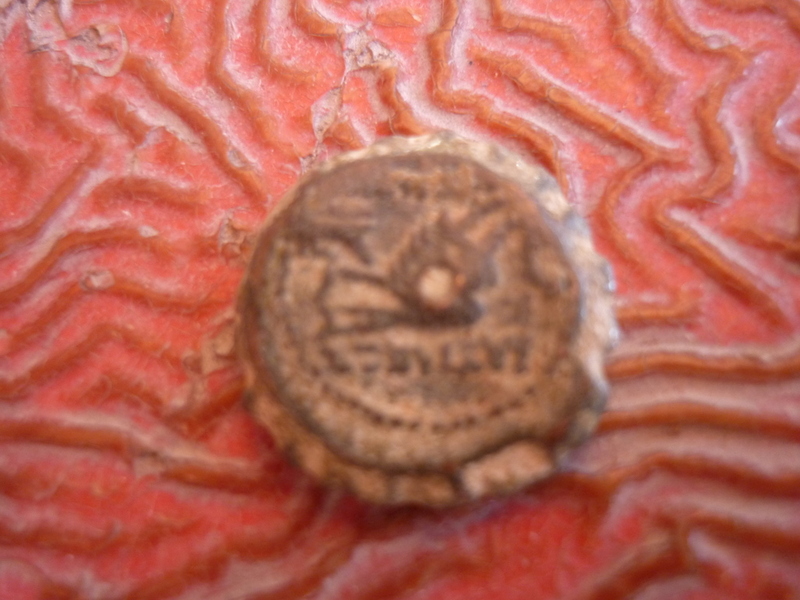 I will add a few more articles on my trip around the Galilee very soon. 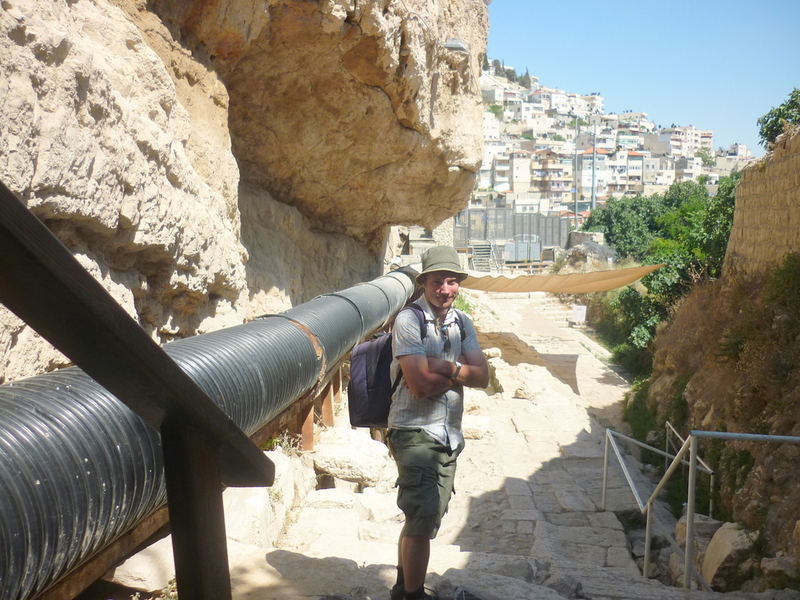 I went with some friends to Hezekiah’s tunnel in the City of David museum in Silwan, a volatile Arab neighbourhood close to the Dung Gate in the Old City of Jerusalem. There is over a mile of tunnels you have to walk through in darkness and in water upto your knees. I have been here before actually, you can see my original article here. This plastic pipe seems to be a temporary replacement for the modern drainage system which was removed with this area was dug up. At the back of the museum is this place, dug up not so long ago. 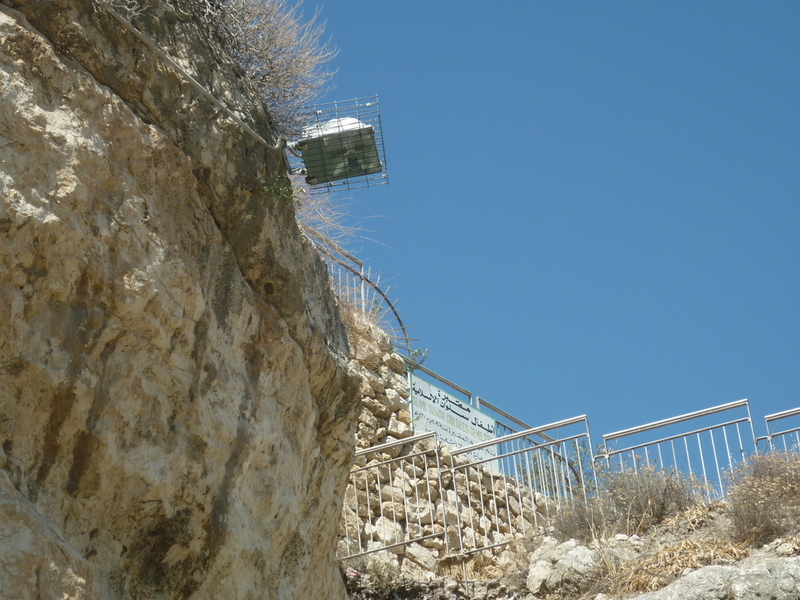 In June of 2004, municipal workers who were repairing a sewage drain in the City of David were shocked to discover a staircase deep underneath the ground. 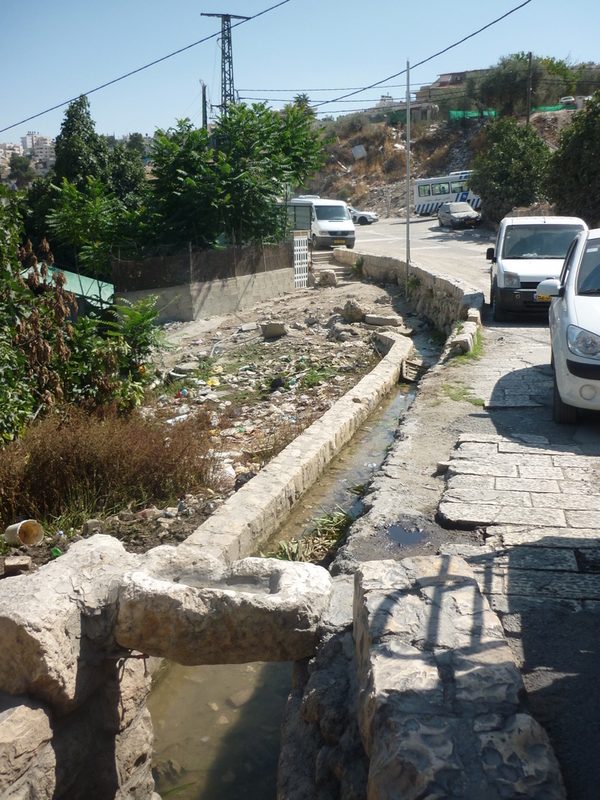 Salvage excavations done at the site revealed that the stairs are part of an ancient thoroughfare, leading from the Shiloach Pool – the major water drawing source in Jerusalem from Biblical times, to the Temple Mount over 2300 feet to the north. 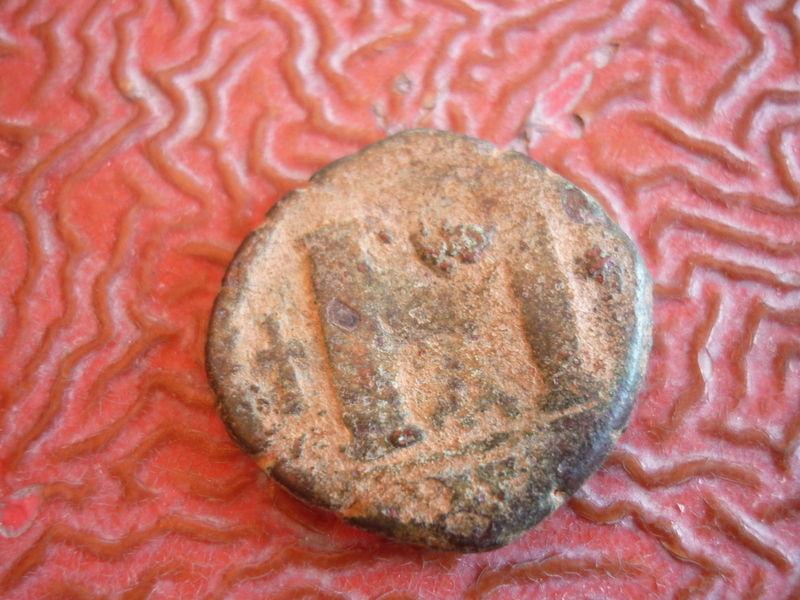 Excavations conducted by Eli Shukron are discovering the original stones walked upon by the Jewish people as they made their pilgrimage to the Jewish temple most notably on the festivals of Passover, Shavuot and Succoth. 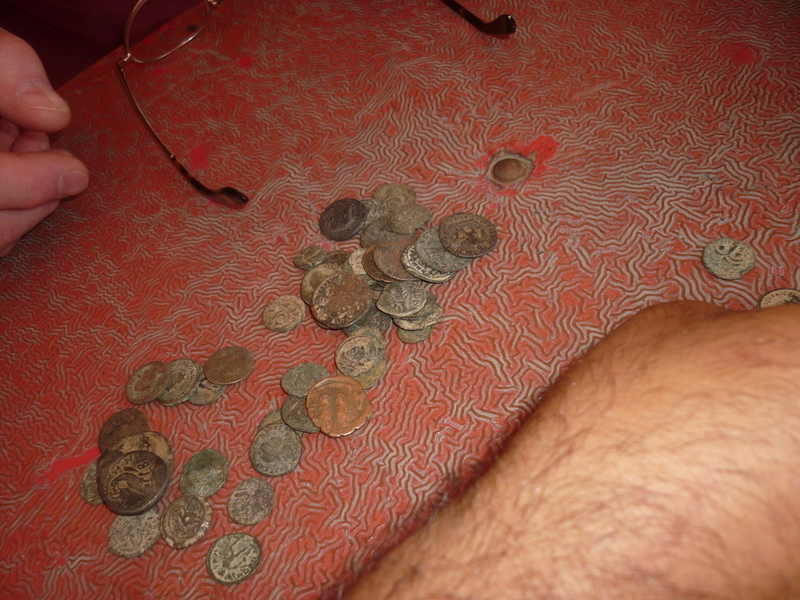 In places, the pavement was broken, revealing an underground drainage channel filled with whole pottery vessels and coins. Josephus Flavius, a famous historian of that period, describes this very place as one where the Jews unsuccessfully attempted to hide during the Roman Revolt in 70 CE. For over 2,000 years this road has secretly laid, hidden from the world. Today, in the center of Jerusalem, in the historic City of David, we have the unique opportunity to once again reveal this road before the eyes of the world. Sign here say that this ground on the surface is a cemetery for Arab children. What surprised me was there was a Palestinian man working in the museum who had a love of history. Silwan is quite a troubled neighbourhood and often Palestinian groups and their supporters around the world, try to show this part of the world as stolen land, despite the wealth of historical information that shows its been occupied by many different groups of people; Roman, Byzantine, Jewish, Arab, Crusader, Ottoman, British Mandate etc, that have lived here. 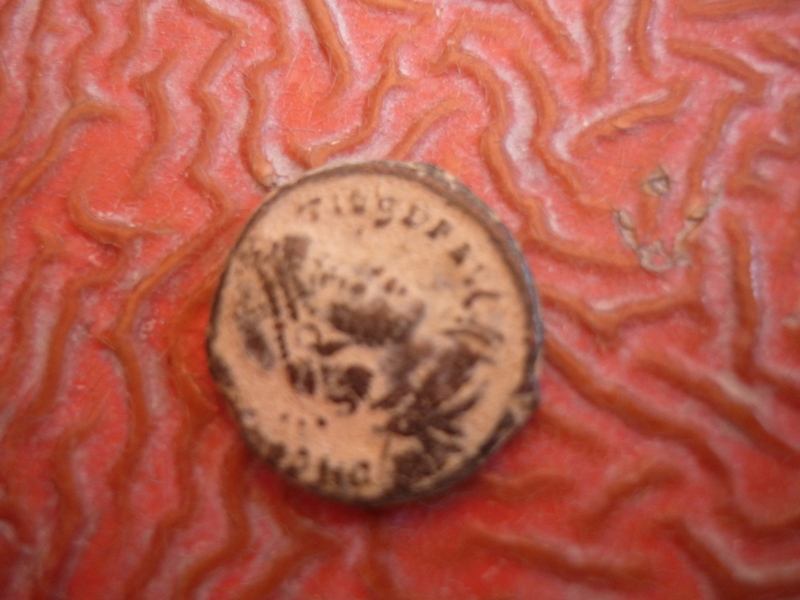 This man showed some coins he personally found himself, this coin to the left can be clearly seen as being Roman, the one to the bottom right has a Christian cross on it. He told us he had his car set on fire by other people in his neighbourhood for working with Jews. He told us he was not religious and not interested in politics, only liked working at the museum and finding discoveries from past. With the large numbers of Christian visitors that come to this site every day, I am hoping the most of them will be praying for this man, for his safety and for him to find his Lord and saviour. One we were out the rear entrance of the museum, I found myself in a Palestinian community. 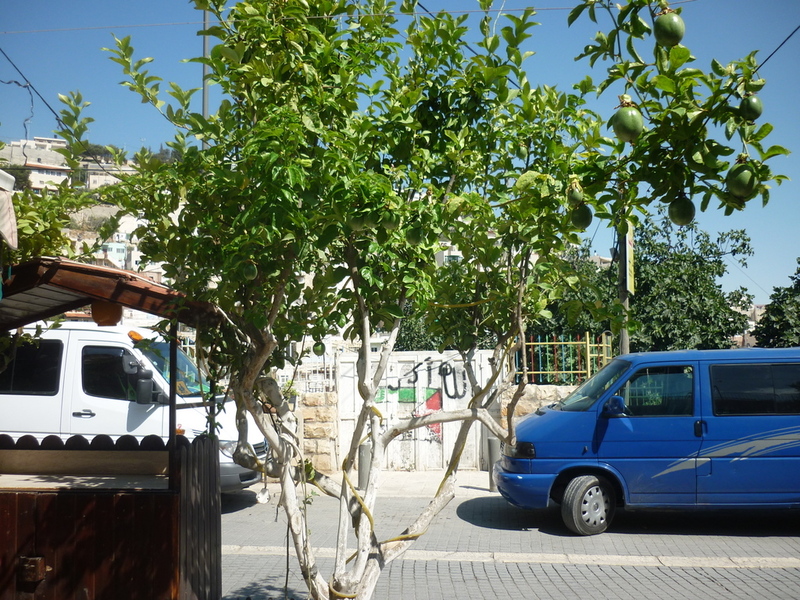 Next to this simple sandwich shop is this fruit tree which I think has plums on it, far from ripe of course. House opposite has a Palestinian flag on it. We got a ride back to the main high street in this blue VW taxi van.